I thought that everything about tonight’s County in the Capital event was fantastic. I look forward to attending another event soon. Discover what makes The County so cool! They’re ba-a-a-a-a-ck! 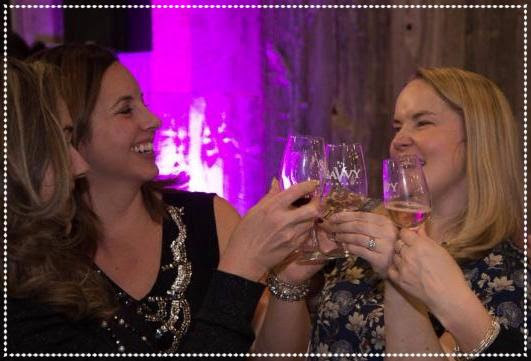 On Thursday April 20th, the 6th annual County in the Capital will be THE event in Ottawa to meet the makers of wines, spirits, craft beers & ciders all made in Prince Edward County. And there will be artisan cheese as well as gourmet artisan goodies. There will be something for everyone – sparkling, white, rose, red & dessert wines along with refreshing craft ciders, beers & artisan spirits too. All of the bevvies at this event are ones that you probably haven’t tried before. You definitely won’t find them at your local LCBO, grocery stores or The Beer Store. This is one of the neat things about our Taste & Buy events…you get to sample the newest bevvies & meet the cool people who make them. Mark my word, there will be over 100 different drinks to try and buy. To help you prep your power shopping, we will email you the entire list of featured products AND at the event, our team of Savvy Sommeliers will be on hand to give you tips & help you find new County favorites. Shopping never tasted this good! This night is all about stocking up on your new found favorites. 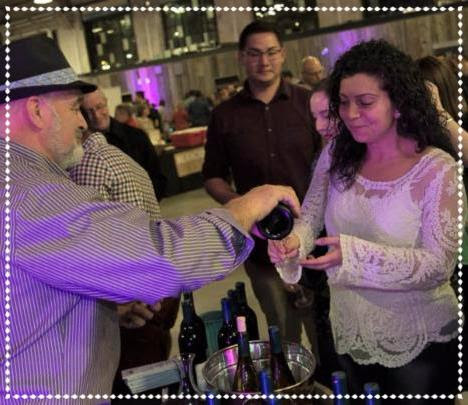 When you order ANY combination of 6, 12 or more bottles from ANY of the showcased wineries, breweries, cideries or distilleries, shipping is absolutely FREE. Your parcel will be hand delivered by courier to your home or office soon after the event. It is that easy to always have The County at your fingertips. These prices include absolutely everything – samples galore, Savvy tasting glasses & good ol HST. …and there will be many more. Watch this space or follow us on Facebook & Instagram for updates too! The Savvy Team is ready to help you stock up on your County favorites. Simply call 613-SAVVYCO (728-8926) to place your order. FREE shipping applies to orders received by April 23rd. Our Savvy Taste & Buy Events always sell out quickly. The countdown is on! County in the Capital Taste & Buy is happening in a few days! Just imagine….100+ wines, craft beers, ciders along with lots of artisan cheese & gourmet goodies – all made by the cool folks from Prince Edward County – will be available for you to try…and buy! Even our long time Savvy friend Derick Barnett – who was the winemaker at Lailey Vineyards & is now the winemaker for Karlo Estates – will be there serving his latest County creations. Scroll down a bit further to see ALL that is in store for you to try at County in the Capital. Get ready to shop & stock up! The wines, craft beers & ciders that will be served at County in the Capital are not available at the LCBO or The Beer Store. So this is the event to sip your way around the room, find new favorites & place your order. To make it as easy as possible, we will hand deliver your parcel to your home or office by courier – for FREE. Yes $0. Our Savvy Team will be working around the clock to get your order to you lickety split so that you can enjoy them at home…even while you plan your next getaway to The County. To get you started, here’s our recent list of 100+ things to do in the area. We make it easy for you to discover The County. Place an order online at www.savvycompany.ca/thecounty & we’ll ship anywhere in Ontario…for FREE. All orders need to be placed by April 24th. FREE shipping by courier is on all orders of any combination of 6, 12 or more bottles. FOR IMMEDIATE RELEASE: Back by popular demand, Ottawa based Savvy Company is hosting the 4thannual County in the Capital on Wednesday April 8th, showcasing the best of Prince Edward County with over 15 wineries, cideries and a craft brewery. Savvy Company’s team of accredited Sommeliers, who are experts on ‘The County’, will be on hand offering tips and helping to guide event-goers to discover new favorites. At this Taste & Buy event, consumers can sample and place orders of their favorites to be delivered to their home or office. Savvy Company is offering free shipping by courier on all orders of 12 or more bottles of any combination of featured wines, beers and ciders. This is a savvy way to shop for products that are not available at the LCBO. Barley Days Brewery , Bergeron Estate Winery & Cidery Co., Casa-Dea Estates Winery , County Cider Company , Del-Gatto Estates Winery, Devil’s Wishbone, Half Moon Bay Winery, Lacey Estates Winery, Hillier Creek Estates & Winery, Huff Estates , Keint-He Winery & Vineyards, Lighthall Vineyards, Long Dog Winery, Rosehall Run Vineyard, Sandbanks Estate Winery, Stanners Vineyard, The Grange of Prince Edward, Three Dog Winery, Trail Estate Winery, Traynor Family Vineyard...and others! Tickets are $65 plus $1 to bring a friend (a Savvy Special promotion until March 23rd). “There are over 35 wineries, a craft brewery – as well as a new one under construction and cideries, complemented by fabulous farm-to-table restaurants and bistros, the annual Terroir Wine & Farmers Market in the spring, The Great Canadian Cheese Festival in the summer, TASTE Community Grown festival in the fall, plus an array of historic boutique inns. There are countless reasons to come to for a visit – and return again and again,” said Bryan Rogers, co-owner of Keint-He Winery & Vineyards. Savvy Company hosts special evenings that shine the spotlight on Niagara-on-the-Lake, Prince Edward County and 20 Valley for consumers to meet the makers and sample their hard-to-find wines, craft beers and ciders. None of these are available at the LCBO, providing consumers the unique opportunity to order an assortment of their new favorites to be shipped directly to their home or office shortly after the event. It is the new way to shop and support local. 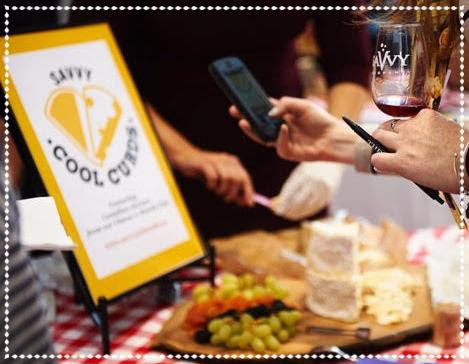 Savvy Company specializes in creative social experiences – whether making the enjoyment of wine accessible to all, exploring the worlds of craft beer or discovering artisan cheeses. Their team of accredited Sommeliers delight in designing events to shine the spotlight on the people who make them. Their Savvy Selections wine of the month club is Ontario’s largest featuring Ontario wines not available in the LCBO and delivered directly to the subscriber’s home or office. Savvy Hip Hops is Ontario’s first craft beer of the month club and is rapidly growing in popularity. Visit www.savvycompany.ca, follow @SavvyCompany on Twitter. On Saturday May 9th, Prince Edward County’s Wine Growers Association hosts a farm-to-table experience showcasing local food, handcrafted wine, artisan bread, preserves and other one-of-a-kind products from local farmers. Tickets are available online $30 per person until March 30th (regular $35 in advance & $40 at the door) Visit www.countyterroir.ca follow @CountyTerroir on Twitter. Savvy Company will be organizing a Savvy Bus Trip departing Ottawa & Kingston to visit Prince Edward County and the Terroir festival.